Following a successful private pre-launch campaign which resulted in 29 sales, Joe O’Reilly’s Chartered Land has released another 28 units for sale from a purpose-built marketing/show unit at its luxury Ballsbridge scheme on the site of the former Berkeley Court (Clyde Court) Hotel in Ballsbridge, Dublin 4. D=Sales are being handled by joint selling agents Sherry FitzGerald New Homes and Savills. The marketing/show suite extends to about 604 square metres over three levels and is about 14 metres high. There is an entrance lobby with marketing reception area at ground level, a two-bedroom show apartment of 126 square metres on the first floor and a three-bedroom show apartment on the second floor, which spans 192 square metres including terraces. There are associated terraces, balconies and a viewing deck at roof level. The scheme’s modern interiors were designed by London-based interior architects Goddard Littlefair. It is the company’s first residential project in Ireland. In all, the development has 215 units of varying sizes from one-bedroom units to four-bedroom penthouses, all of which will be contained in seven pavilion-style buildings. 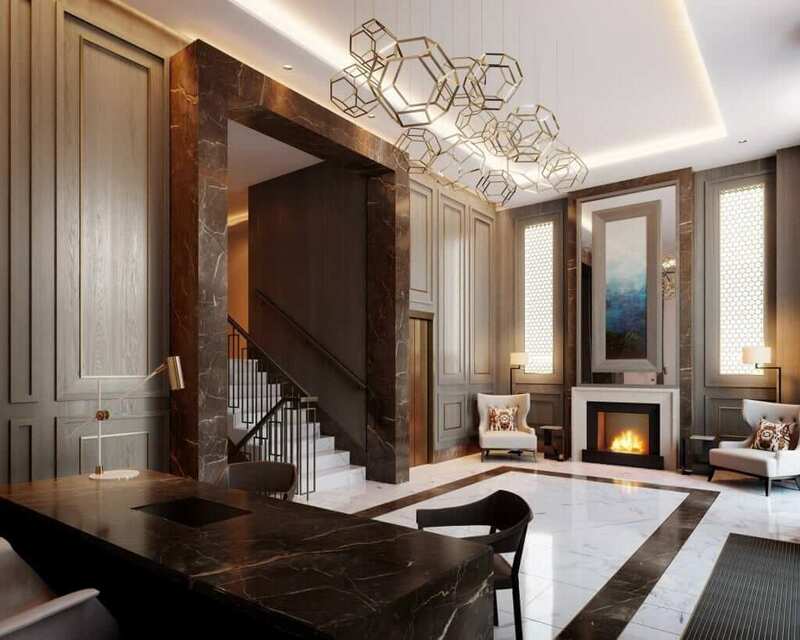 The apartments have open plan living areas and a series of unexpected features including sunrooms, as well as custom designed Irish craft integrated kitchens, coffered ceiling lighting in the living rooms and bathroom suites finished in limestone and marble. Of the 28 units on offer in the current phase, there are two one-bedroom units of 72.65 square metres’ 24 two-bedroom apartments from 88.6 to 151 square metres; and two three-bedroom apartments of 177 square metres. The first tranche of units will be completed by mid-2018. It’s expected that all units will be completed by the end of 2019. The next phase of apartments for sale should be released this autumn. The apartments at Lansdowne Place boast ceiling heights of 2.7 metres, large floor-to-ceiling windows, sunrooms and balconies as standard. There is also mood lighting, natural stone, selected timbers and traditionally painted joinery in the apartments. 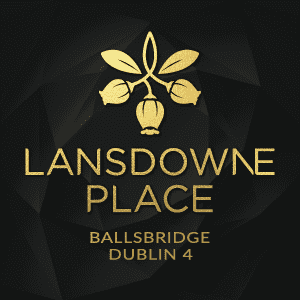 All residents at Lansdowne Place will become members of The Lansdowne Residents Club, a purpose-built leisure facility where residents and their guests can enjoy a lounge, library, meeting room, cinema room and hospitality spaces. A 24-hour concierge service is also available. It will also house a gym, sauna, steam room and treatment rooms. Prices for the apartments at Lansdowne Place vary depending on the size of the individual unit. The standard one-bed apartments start at €825,000; two-bed apartments start at €900,000 and three-bed apartments start at €2.15 million. It is believed that Green Reit’s Stephen Vernon has purchased one of the penthouses for approximately €5 million. 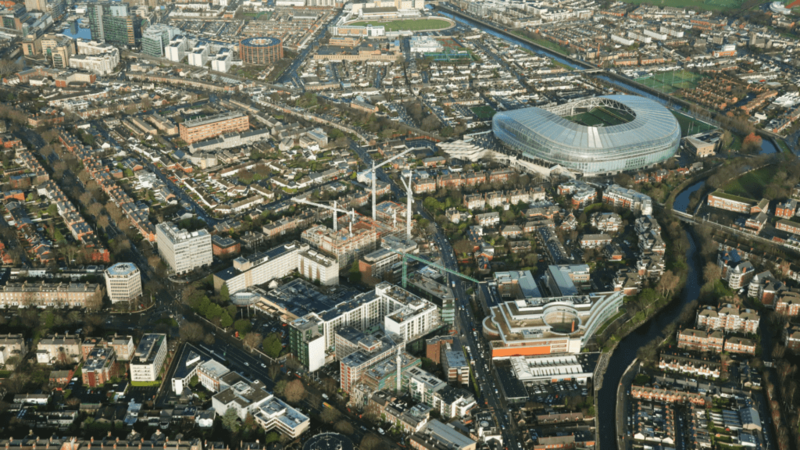 Lansdowne Place is situated on the corner of Lansdowne Road and Shelbourne Road, the site of the former Trinity College Botanic Gardens which were located there for more than 150 years. 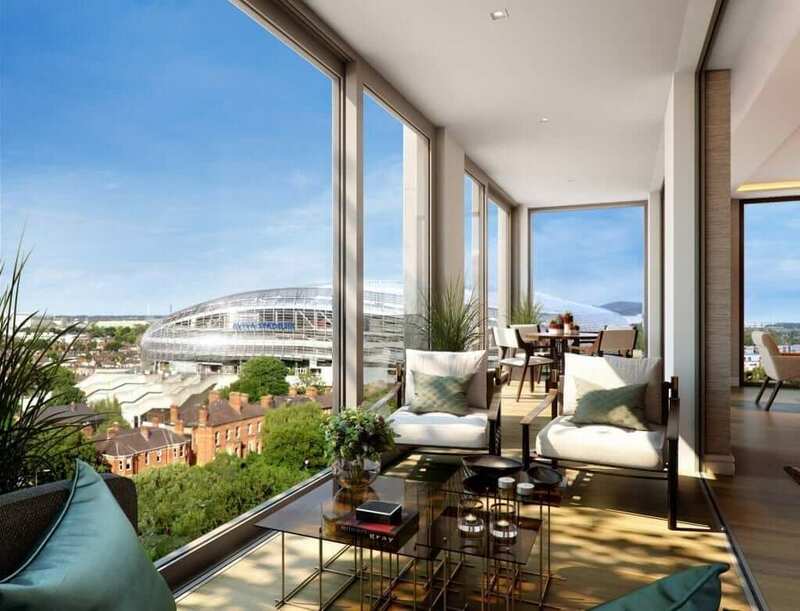 The new development, designed by O’Mahony Pike architects, is positioned behind the original Richard Turner railings and will overlook landscaped gardens designed by Bernard Seymour Landscape Architects. This article originally appeared in the Business Post.